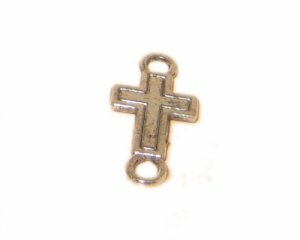 This is a 10 x 24mm Antique Silver Cross Link - 4 links. These can also be used as charms or for earrings. This is my 4th order placed with Dollar bead. Orders arrive FAST and I am always pleased with the quality!THANKS!